Lanzarote has a variety of markets around the island, some are aimed at the tourist market, others showcase our traditional artisan crafts and farmer’s markets where shoppers can stock up on ecologically grown fruit & vegetables, goats cheese, jams, chutney, bread, cakes & biscuits. 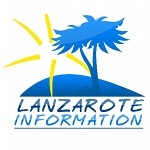 We’ve listed the markets in Lanzarote in order of municipality and in summary at the bottom of this article, by the days of the week. The Mercado Turístico y Artesanal is held in Lanzarote’s capital of Arrecife every Saturday morning. Approximately 40 artisan and modern goods stalls are available at this market, which line the pedestrian streets from Calle Real to the church of San Ginés. You can find the fresh produce stalls in the Plaza de Las Palmas. Open from 09:00 to 14:00. Every Wednesday & Thursday a traditional market called the Mercadillo de Arrecife is held from 09:00 to 14:00 with about 60 stalls set out around the Charco de San Ginés. This market is aimed at the tourist market, primarily for our cruise visitors. Every Thursday between 10:00 – 15:00 there is a local artisan market at Marina Lanzarote in Arrecife, where you can buy hand made products from craft workers. Mercado Artesanal is a traditional market held in the main plaza of Haría every Saturday morning. A popular destination for tourists visiting the north of Lanzarote, this market has a variety of traditional craft stalls selling jewellery, art, woodwork, pottery, leather goods and local goods including fresh cheese, baked goods, fruit & vegetables. Open from 09:00 to 14:00. 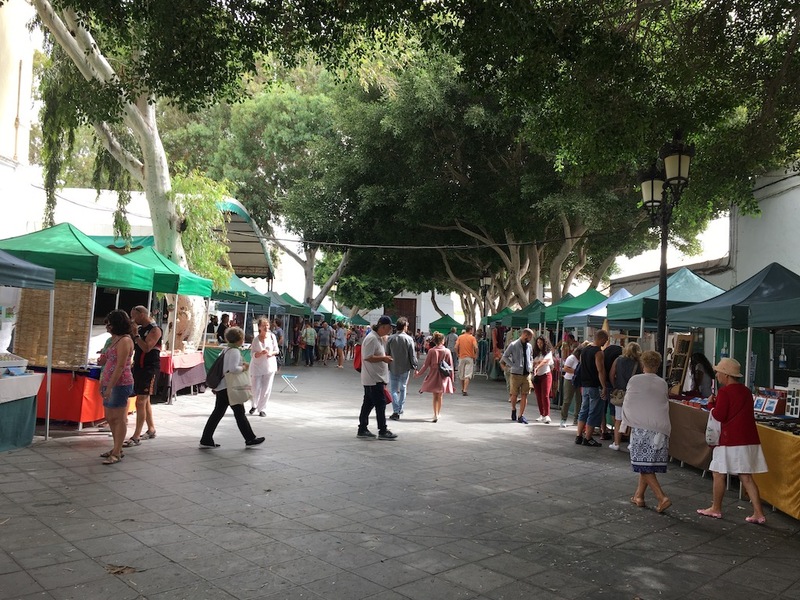 The Mercado Agrario y Artesanal is a farmer’s produce and craft market on the first Sunday of every month in the Plaza Léon y Castillo in San Bartolomé from 09:00 – 14:00. The Mercado Agrícola farmer’s market is held in Pueblo Marinero in Costa Teguise every Tuesday from 09:00 until 14:00. A Mercadillo Artesanal is held every Wednesday evening in the Plaza del Pueblo Marinero, a selection of craft stalls are open from 18:00 to 22:00. The original Mercadillo in Pueblo Marinero is held every Friday evening from 17:00 to 22:00, a small selection of stalls typical of the large Teguise market can be found. There’s usually a lively atmosphere from the surrounding bars and central bandstand. The largest market on the island is the Mercadillo de Teguise which is held in the old capital of La Villa de Teguise every Sunday. Here you can find hundreds of stalls set out around the cobbled streets selling everything from fashionable goods to artisan crafts and local produce. Open 09:00 to 14:00. A Mercado Agrícola is open in the Plaza del C.S.C. Santiago el Mayor, by the sociedad in Tahíche every Thursday from 09:00 to 14:00 selling traditional Canarian food products and ecological fresh produce. The Mercadillo Municipal is held every Friday in the Plaza del Varadero in the harbour of the old town area, Puerto del Carmen. This market has around 100 stalls offering a variety of goods, crafts and food for sale. Open from 10:00 to 15:00. The Mercado Agrícola y Artesanal de Tinajo markets are held in Mancha Blanca every Sunday. There are 18 stalls situated opposite the church of Los Dolores open from 09:00 to 14:00. You can buy local produce from 9 agricultural stalls, 2 livestock stalls, 2 fish stalls and 5 pastry stalls. Quite often there will be a traditional exhibition or demonstration of local farming skills to compliment this market. Marina Rubicón Market is held in Playa Blanca every Wednesday and Saturday from 09:00 to 14:00. This is a popular time to visit the marina, the stalls are set out along the waterfront selling a mixture of modern goods and artisan crafts. The Puerto Calero market in the marina takes place every Tuesday and Friday from 10:00 to 14:00. A variety of market stalls are situated on the Plaza de Las Carpas. Mercado Municipal Uga is open every weekend on Saturday & Sunday from 10:00 to 14:00. Situated next to the church in the centre of the village, you can buy local produce including fruit, vegetables, jams, wine, liqueurs, cheese, ecological products and artisan crafts. Villa Marcos is a Large Villa with a Private Heated Pool (8x4m) and Secluded Patio and Garden Area.